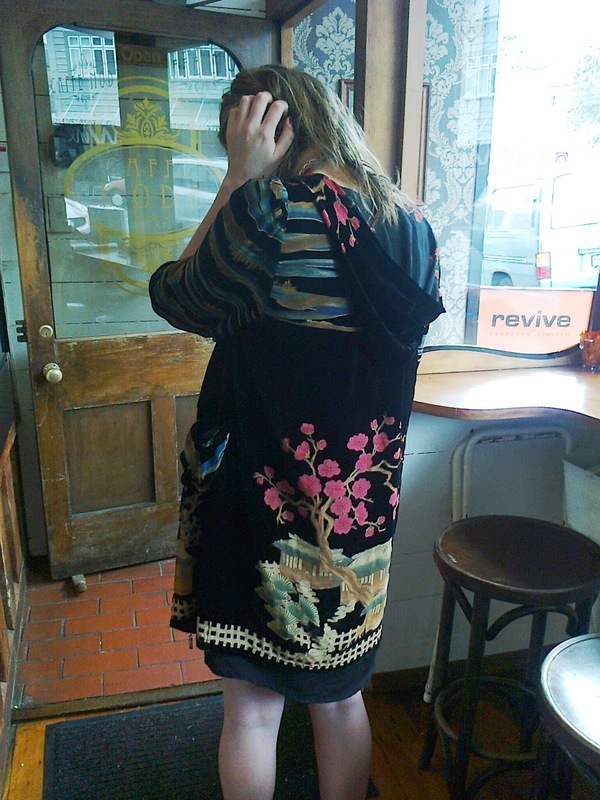 This sweet young thing laughed when I asked if I could take a picture of her luscious silk-velvet coat - her boyfriend had just expressed his dislike of it. He wore a conservative gray suit. Beside him, she was a walking work of art. Certainly the coat's unstructured floppiness, hood and lavish embroidery veered towards the hippie end of the style spectrum, but the wearer's bright red lipstick struck a contrasting note. N, who was with me, suggested she change boyfriends.